TwelveSouth make some lovely items and although they may be a bit on the pricey side they certainly look good and last well. To complement their ever expanding range of BookBook covers available for virtually everything that Apple currently makes (with the exception of the iMac and Mac Pro…although I REALLY want to see a BookBook cover for a 27inch iMac) they now produce one for the 12.9inch iPad Pro. The case features all of their usual stylish trademarks including being manufactured from genuine leather. 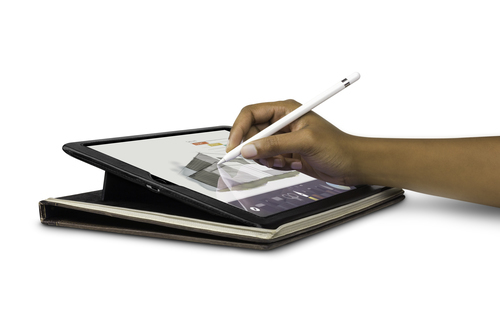 Also included is a kickstand to place the iPad at an angle for wrist-friendly typing and artistic drawing with an Apple Pencil.